CEHI was established in 1999 to address adverse health effects to children occurring as a consequence of their exposure to environmental toxic substances. The mission of CEHI is to support education initiatives to improve children’s health with an emphasis on their micro (immediate) environments. Reliant Energy, through their EcoShare customer program has raised more than a million dollars to help EarthShare of Texas support Texas environmental groups including the Children’s Environmental Health Institute. 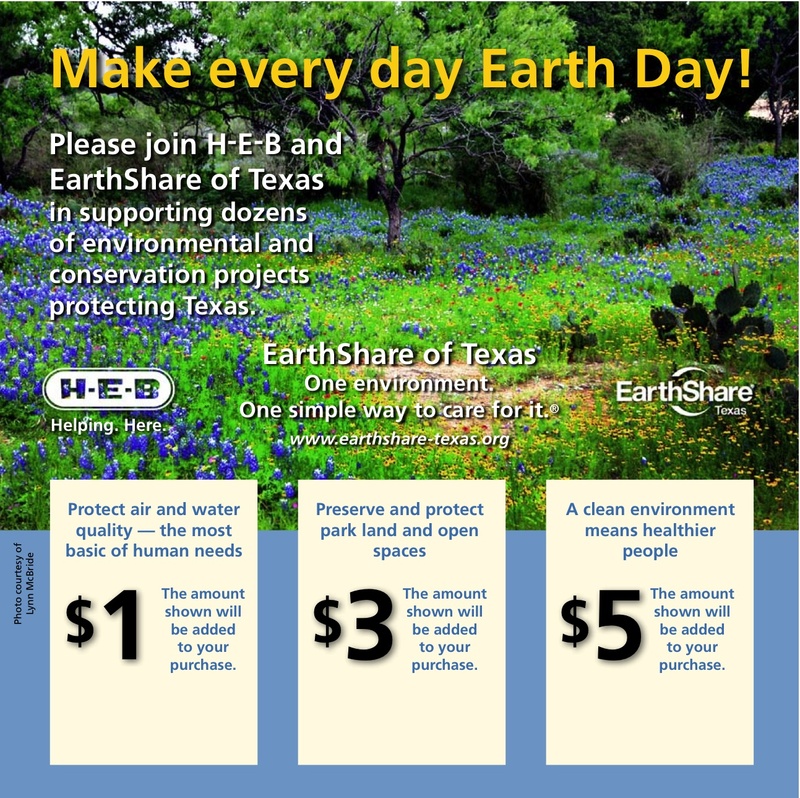 Thank you to H-E-B stores throughout Texas and their customers for recognizing Earth Day by supporting the diverse environmental program work of more than three dozen EarthShare of Texas’ organizations, including the Children’s Environmental Health Institute. The customers’ dollars go directly to these organizations, benefitting both the Texas environment and economy. 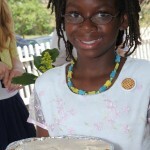 The Children’s Environmental Health Institute was honored to have served as a partner with the Children’s Environmental Health Network, Environmental Health Perspectives, and the International Society of Children’s Health and the Environment, to support the Children’s Environmental Research Conference on February 4-6, 2015, in Austin , Texas. Click Here for Link to the Conference Page and/or attendee list. On behalf of the Board of Directors of the Children’s Environmental Health Institute, it is my pleasure to present the Executive Summary from the Houston Roundtable Discussion on the Environment Related to Asthma and Respiratory Diseases in Pre-School and School-Age Children. We want to extend to all of the presenters, participants, sponsors, staff and supporters an expression of appreciation for their time and effort on behalf of this project to improve the quality of health for current and future generations in the Greater Houston Area. 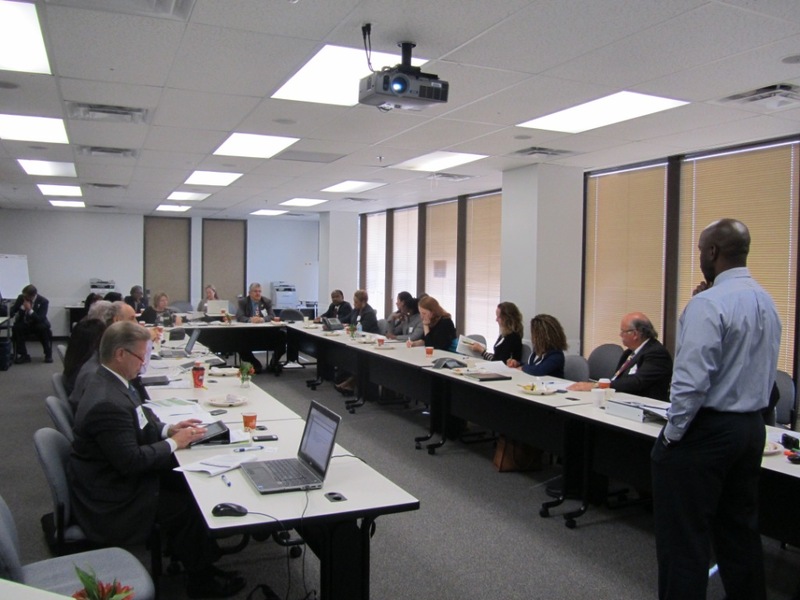 The Houston Roundtable Discussion focused on environmental health risks related to asthma and respiratory disease in the Greater Houston Area. Houston has made much progress, and yet many unknown or missed opportunities remain to protect children from exposure to toxics in the air they breathe and where they live, learn, and play. In addition, the Roundtable Discussion addressed policy-making opportunities and the importance of over-arching approaches to support education and action plans to to decrease asthma and respiratory disease in children. 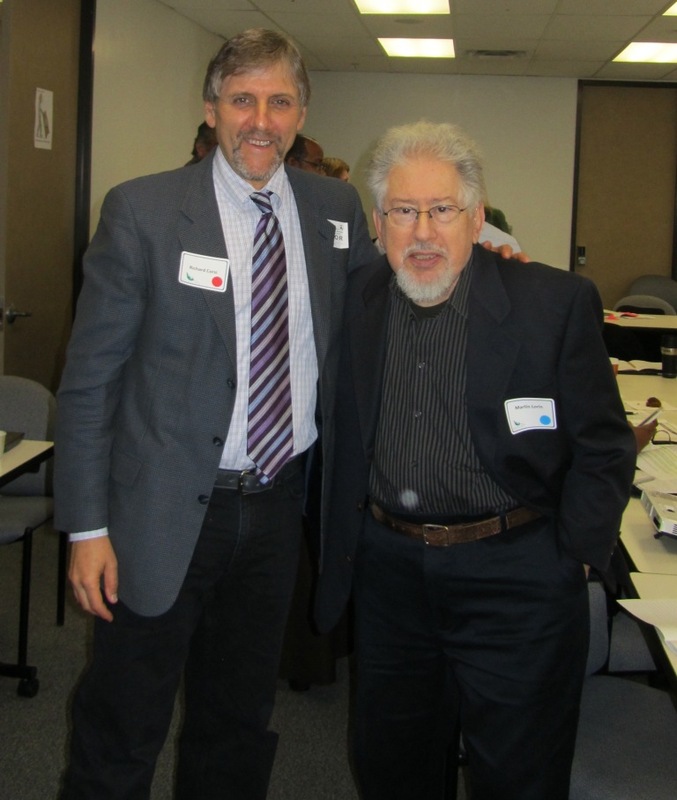 Dr. Martin Lorin, CEHI Board Member and Chair of the Roundtable Discussion with keynote speaker, Dr. Richard Corsi, The University of Texas, Department Chair, Civil, Architectural and Environmental Engineering and Co-Director, Center for Sustainable Development. We wish to recognize and thank the sponsors of the Roundtable Initiative and Discussion. Undertaking the Houston Roundtable Initiative and Discussion would not have been possible to do without the support and financial contributions from the United States Environmental Protection Agency, Region 6, Saint Susie Charitable Foundation, the Texas Children’s Health Plan, Kirksey Architects, Reliant Energy, the Southwest Center for Pediatric Environmental Health, the Houston Department of Health and Human Services (List Sponsors). In addition, words cannot adequately express our gratitude to the Roundtable Discussion members for their time, skills and support in participating in conference calls, planning committee meetings. Their generosity in reserving the full measure of a day from their calendar to serve on the Roundtable Discussion reflects their dedication to improving the quality of life for all children. The Houston Roundtable Discussion on the Environment Related to Asthma and Respiratory Diseases in Pre-School and School-Age Children was as invitational assembly convened to address the need to improve asthma and respiratory disease (cystic fibrosis, reactive airway disease and recurrent respiratory tract allergies) prevention and management in pre-school and school-age children within the Greater Houston Area. The Houston Roundtable Discussion on the Environment Related to Asthma and Respiratory Diseases in Pre-School and School-Age Children supported the Healthy People 2020 Objectives for Respiratory Disease, and the President’s Task Force on Environmental Health Risks and Safety Risks to Children: Coordinated Federal Action Plan to Reduce Racial and Ethnic Asthma Disparities. The Children’s Environmental Health Institute (CEHI) appreciated the opportunity to present the first ever Track on environmental health risks to children at the 49th Annual Texas Association for the Education of Young Children Conference that took place on October 3-5, 2013 in historic San Antonio, Texas. The track provided an overview of adverse health effects to young children occurring as a consequence of their exposure to toxins in their microenvironment and provided ways for caregivers to ensure that they provide a healthy environment for children to learn, play and grow. The agenda provided a broad overview of children’s environmental health and then gave specifics relating to Air, Materials, Products, Cleaning, Pest Management, and Food and Nutrition. Over one hundred advocates seeking evidence-based information on how to protect children from their exposure to environmental health toxins, gathered at the Dell Children’s Medical Center of Central Texas on October 25 & 26, 2012, to attend the Seventh Biennial Scientific Symposium hosted by the Children’s Environmental Health Institute (CEHI). The Picture the Children Program attempts to evoke an emotional response in the viewer with glimpses into the world of how a child experiences the joy, discovery and the positive potential of the environment. The exhibitis designed to evoke an emotional experience for the viewers and advance the discussion about children’s health and their food.Whole Kids Foundation sponsors the Children and Their Food Photo Exhibit. The exhibit that initiated the program in 2010/2011 was the Children in Nature Photo Exhibit by acclaimed photographer, Roberto “Bear” Guerra. The Picture the Children program is in conjunction with CEHI’s scientific symposium on health, the environment and children. The photo exhibit aspires to step back from the many troubling environmental health issues to capture its opposite: the potential for health. The Symposia provided physicians, health professionals, architects, engineers, research scientists, environmental advocates, and others access to the current research information on children’s environmental health. The First Symposium: Children’s Health as Impacted by Environmental Contaminants was conducted in October 2000 at McKinney Roughs Environmental Learning Center, Austin, Texas. The Second Symposium:Children’s Health as Impacted by Environmental Contaminants was conducted at the U.S. Air Force School of Aerospace Medicine at Brooks City Base in San Antonio, Texas. The Third Symposium: Biennial Scientific Symposium on Children’s Health as Impacted by Environmental Contaminants was conducted at the Barr Mansion in Austin, Texas on September 24–25, 2004. The Fourth Symposium: Children’s Health as Impacted by Environmental Contaminants was conducted on September 16, 2006 at McKinney Roughs Nature Center, Austin, Texas. The Fifth Biennial Scientific Symposium: Blueprint for Children’s Health in the Built Environment (October 30 & 31) was conducted at the Barr Mansion in Austin. The Sixth Scientific Symposium: Prenatal & Early Life Exposures: How Environmental Toxins Affect the Course of Childhood was conducted at NASA Space Center in Houston, Texas. The Seventh Scientific Symposium: How School Environments Affect the Health and Educational Performance of Students, was conducted at Dell Children’s Medical Center of Central Texas, Austin, Texas on October 25-26, 2012. For complete information about the symposium including the program syllabus, click here. The Eighth Scientific Symposium: Prenatal Environmental Exposures as a Determinant of Early Childhood and Adult Disease, was conducted at McKinney Roughs Nature Park and Education Center, Cedar Creek, Texas on November 13-14, 2014. For complete information about the symposium including the program syllabus, click here. The superintendent of Boerne ISD invited the Children’s Environmental Health Institute to conduct an Educator Leadership Forum on for the vice-superintendent, principals, facility managers and administrative staff on environmental health risks in schools. The Children’s Environmental health Institute, Autism Society and Children’s Optimal Health hosted the Children’s Environmental Contributors to Developmental and Intellectual Disabilities Conferenceat Dell Children’s Medical Center of Central Texas. National experts from diverse sectors highlighted the latest research on associations between environmental exposures and early neurodevelopment as well as the implications for prevention-based public health policy. This meeting provided for cross-discipline discussions among leaders in environmental, experimental and epidemiologic fields as well as those involved in public policy and environmental health advocacy. The Children’s Environmental Health Institute, the National Healthy Schools Network, Inc., and the Southwest Center for Pediatric Environmental Health hosted the first in a series of Roundtable Discussions on Science-Driven Healthy Schools of Excellence. Participants from varied backgrounds and professions presented divergent points of views and ideas on identifying priority environmental health risks to children in schools. The purpose of the discussion was to develop a program agenda for the 2012 Scientific Symposium, which includes environmental risks in schools, by hosting a series of roundtable discussions involving relevant experts and stakeholders. The Children’s Environmental Health Institute and the Environmental Protection Agency, Region 6, hosted an invitational Community Leadership Forum (CLF) on reducing environmental health risks and improving indoor air quality for schools in Boerne, Texas. Participants representing independent school districts from five surrounding counties attended the Community Leadership Forum, including local mayors and school superintendents. The Children’s Environmental Health Institute, the Southwest Center for Pediatric Environmental Health Center and Texas AG/Extension Life hosted a webinar on integrated pest management in the school setting and strategies for protecting children from exposure. The Healthy Environments for Child Care and Preschools is a program of the Children’s Environmental Health Network and is funded through the U.S. EPA. The goal of HECCP is to train and educate child-care providers and administrators on creating healthier and safer environments. CEHI is a member of the Advisory Team. The Texas Advisory Team helps CEHN to identify the most effective way to reach child-care providers and how to incorporate HECCP intoexisting training. CEHI partnered with Special Audience Marketing and the United Steel Workers of America to promote the Get the Lead Out Campaign and provide free lead check testing kits to child care centers and the public in specific cities. Volunteer Hour Matching Dollars Program: For every verified Health Care Service Corporation (HCSC) employee hour volunteered to a Community Partner, HCSC contributes to the designated charitable organization. CEHI is a Blue Corps Community Partner. A Community Partner organization must fit within the scope of HCSC’s corporate community involvement strategy. The purpose of the Summit on the Built Environment and Children’s Health – A New Vision for San Antonio was to engage local government leaders to create and promote places, policies, and programs to reduce childhood obesity by promoting active living and healthy environments. The process resulted in a defined vision as to how local government can align public policies and implement programs to reduce risk factors in the built environment related to health concerns in children. AAA Texas and CEHI promoted Earth Day with the Great Battery Roundup in 2006 and 2007. Texas motorists helped to make a difference in both the health and the environment in their communities. Car, truck, and boat owners took used batteries to specially designated recycling sites at AAA–Approved Auto Repair facilities and roadside assistance tow contractors. AAA Texas estimates the effort removed more than 33,000 pounds of lead from the environment across Texas and sent it to recycling plants where new batteries are made. The purpose of the conference was to address the health status and needs of the Kelly Air Force Base communities in relation to environmental contamination and develop a subsequent action plan. Primary target issues included: Health, Communication and Education, and Economic and Environmental Cleanup. Standard environmental health quality guidelines to protect the health of children and families were developed for public housing in San Antonio, Texas. The focus included decreasing the risk of childhood lead poisoning, asthma, cancer and other environmentally related diseases. CEHI serves as a member of Earth Share of Texas. 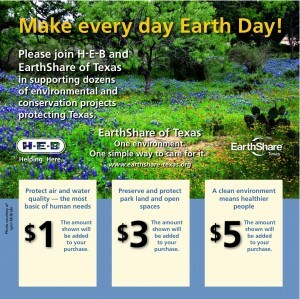 The mission of Earth Share of Texas is to support the work of its participating organizations to conserve and protect our natural resources through participation in payroll contribution charitable campaigns at public and private worksites in Texas. Environmental Public Health Tracking is a nationwide tracking system that links environmental exposures to chronic diseases. CEHI partnered with the Physicians for Social Responsibility (PSR), Trust for America’s Health (Pew Charitable Trust) and the Centers for Disease Control (CDC) in hosting focus groups, Grand Rounds, medical forums, and conference workshops in Dallas, Houston, San Antonio, Lufkin and Corpus Christi to inform physicians of and seek their input on the development of the national health tracking network. The effort also received support through the Border Health Tracking Project in partnership with PSR, and was funded by the North American Commission on Environmental Health. The Children’s Environmental Health Public Forum to Address Heavy Metals within the Paso Del Norte Border Area was conducted in El Paso through a partnership with the National Institute of Environmental Health Sciences (NIEHS) and the El Paso County Medical Society. Participants from Texas, New Mexico, and Mexico discussed local environmental issues impacting children’s health. In addition to the Town Hall Meeting, CEHI hosted the Paso Del Norte Children’s Environmental Health Meeting Border Talk: Collaboration In Action. In partnership with the San Antonio Metropolitan Health District, CEHI served as the facilitator for the San Antonio Environmental Health Policy Roundtable in conjunction with the Town Hall Meeting on Environmental Health sponsored by NIEHS. CEHI developed a long–range strategic plan for the Public Center for Environmental Health (PCEH). The Strategic plan to increase coherence to the Cooperative Agreement between the San Antonio Metropolitan Health District and the U.S. Air Force and created a conceptual framework to minimize drift from their joint vision. The Indoor Environmental Health for Children Forum was conducted in San Antonio through the primary sponsorship of the U.S. Environmental Protection Agency (EPA), Region 6. The forum provided a platform for discussion among the medical community in San Antonio and South Texas for developing a community plan to address children’s health as impacted by environmental toxins. The National Children’s Study is examining the effects of environmental influences on the health and development of 100,000 children across the United States, following them from before birth until age 21. 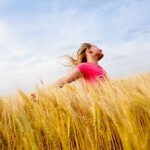 The goal of the Study is to improve the health and well–being of children. Fernando Guerra, CEHI board chair, served on the founding National Advisory Committee for the National Children’s Study (NCS); CEHI advisor Dr. Donald Dudley currently serves on the National Advisory Committee; and Janie D. Fields, CEHI executive director, served on the community engagement workgroup.